What is a Portable Sealer? IMPAK carries a large range of portable heat and vacuum sealers that meet the requirements of many industrial and home applications. Plug ‘N’ Go (PNG) tabletop vacuum sealers are light weight industrial impulse vacuum sealers with gas flush options available. Weighing under 100lbs, these units can easily be moved from one work station to the next in a production setting. With a footprint of 22” x 15” these unit require a minimal amount of space and can easily be placed into storage when they are not in use. The self-contained compressor allows end users to have the machine out of the box and up in running in less than 5 minutes. 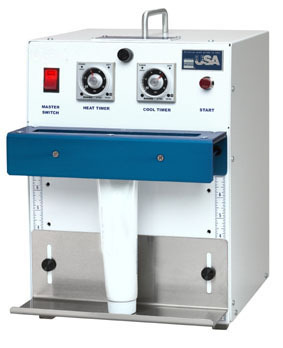 The Hand Held Impulse (HHI) Sealer series was developed with industrial applications in mind. 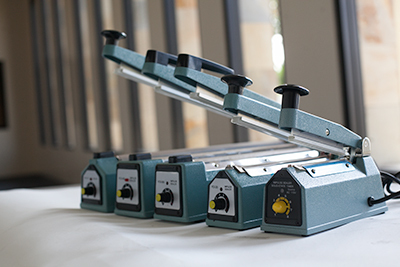 Our engineers and customers worked together to develop a series of hand held impulse sealers that was durable yet not as heavy as other hand sealer out on the market. Utilizing aircraft grade aluminum in the manufacturing process provides the strength and durability to withstand the most grueling applications, yet reduces the overall weight. The HHI series affords the end user a unit that is reliable, durable and easy managed over an 8 hour shift. Initially developed for the cosmetic and beauty industry the THS177 has been used in R&D facilities for prototype development in a wide range of industries, yet it remains a favorite among owner/operators of compounding pharmacies for regular small scale production. Light Weight (33lbs. 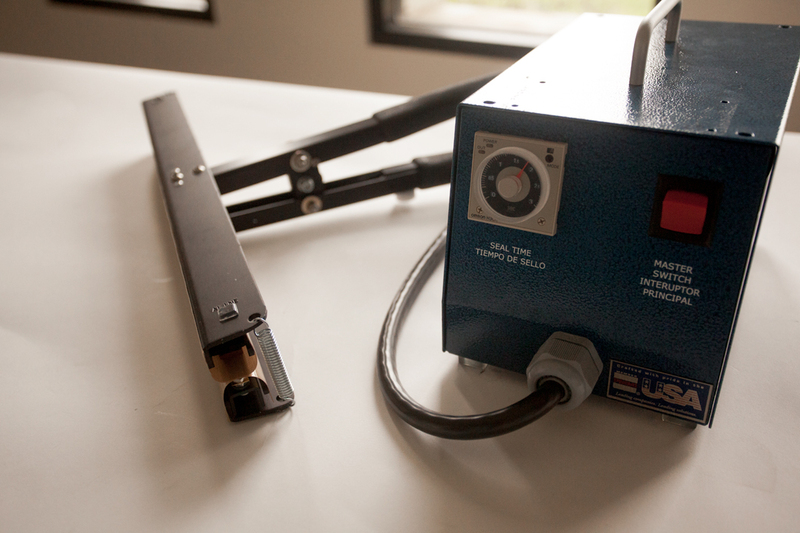 ), self-contained compressor and small footprint (10” x 10”) provides users with an impulse tube sealer that is easy to manage and ideal for small work spaces. With the ability to seal over 6 tubes a minute, the THS177 can keep up with demand while providing a high quality sealed tube. Rapid Sealer (AKA: Band Sealers) are ideal units for applications where speed is necessary to keep up with increased production. Weighing less than 60 lbs., these units can easily be moved, setup and run using a single production team member. 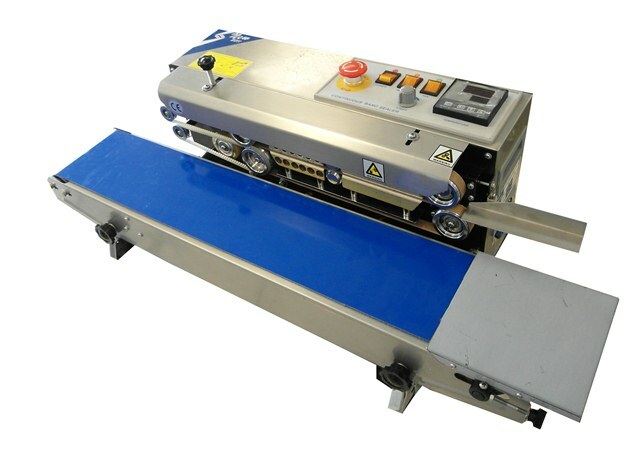 With the ability to seal up to 1000 pouches per hour, our line of rapid sealers are ideal units for companies looking to increase their production throughout. The IPK a series offers a range of seal lengths are certain to meet your sealing requirements. These units are affordable, small and portable. Even with their small size, the IPK series contains all the power necessary to seal Mylar Foil up to 6.0 mils in thickness. These entry- level units are ideal for start-up companies, prototype development and lab environments. BUYER BEWARE: There are units available from other sites that have a similar style and function. Appearances are where the comparisons stop. 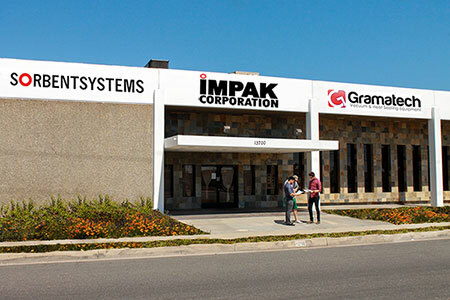 The IPK series from IMPAK offers a 5mm (opposed to 2mm)wide seal and an internal electrical construction that provides the end user with an impulse sealer that out performs the competition. Cleaner/More attractive hermetic seal: Wider elements seal more material surface, resulting in less curling of material and ability to seal through small particulates. Seals up to 6.0 mil foil material- Higher amperage allows for the sealing of heavier duty material containing foil. A favorite amongst emergency preparers and food storage specialists, the HOTJAW with a 9/16” wide seal bar is an ideal unit for sealing 7.5 mil MylarFoil. The HOTJAW has two temperature settings that controls the pair of constant heat serrated seal bars, which makes this unit ideal for sealing foil MylarFoil, polypropylene, cellophane and other laminations. The Keep Fresh 108 is a low cost solution for individuals and families that would like to explore the benefits of home food storage. 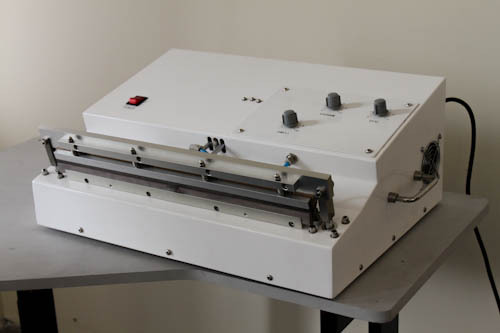 While this unit is not intended for industrial applications, however this unit has become popular with R&D facilities that require low volume laboratory work. 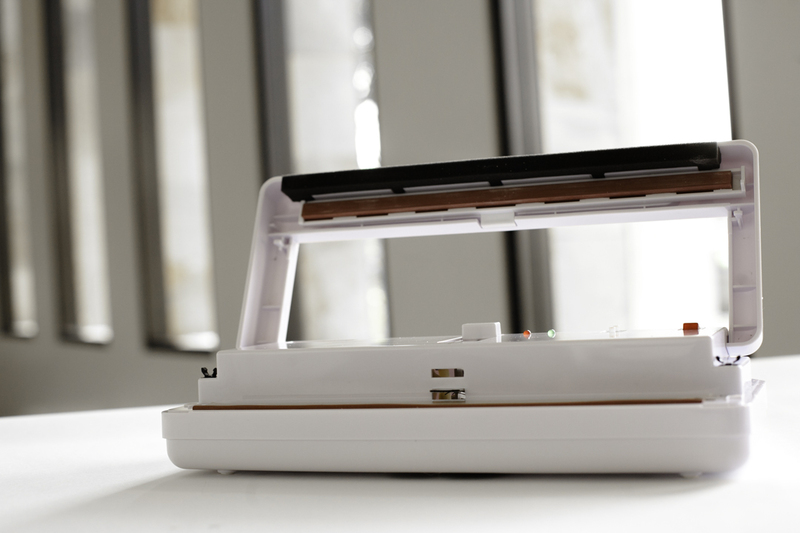 The KF108 is ready to start working for you the moment you remove it from the box. The simple layout allows the end user to select a desired seal and vacuum time using analog display. You will find the KF108 differs from other home units that are available due to its vacuum nozzle technology. Following the design of industrial grade vacuum sealing equipment, the vacuum nozzle allows the users to seal both foil and non-foil pouches. Users are no longer required to purchase expensive special surface or embossed bags.